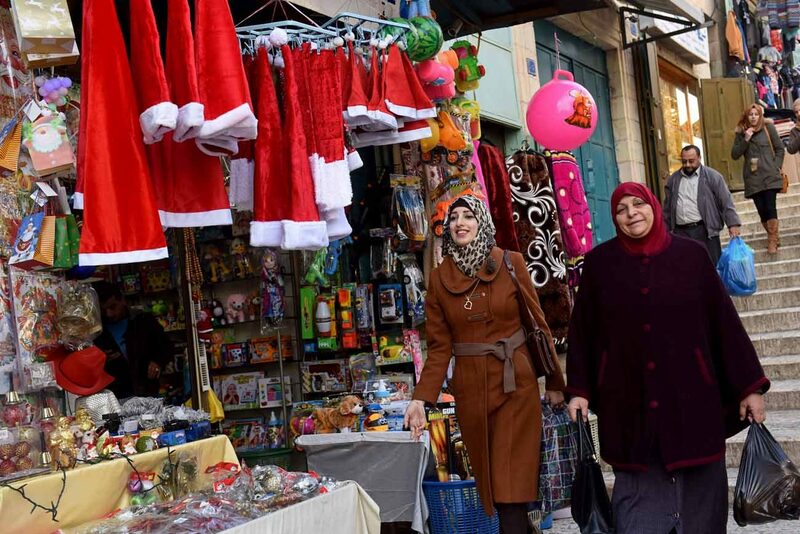 BETHLEHEM, West Bank (CNS) — Even the Christmas decorations seem more cheerful this year in Bethlehem. A new display of Santa’s reindeer and sleigh were about to alight at the main traffic circle on Manger Street, and a big white Christmas tree made of lights perched merrily next to them. 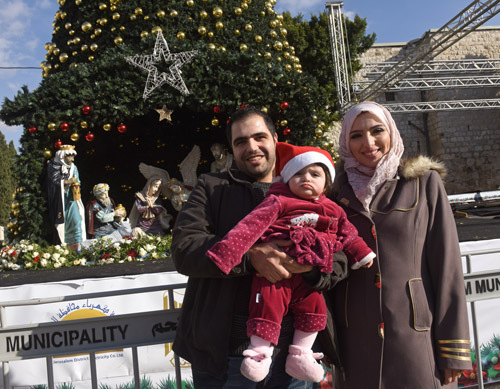 The official Christmas tree in Nativity Square was a focus of great commotion as pilgrims and locals struck poses for photos and selfies Dec. 5. A few days earlier, at the official tree lighting ceremony, the square was packed with hundreds of onlookers ready to welcome the Christmas season to the birthplace of Jesus.